On March 21, 2015, we set out for some fun and friendly climbs and doubled it up with some time to photograph new products for the Forever Outside store. Just 40 minutes off the beaten path of Los Angeles sits Texas Canyon. This beautiful part of the high desert sits between Santa Clarita and Aqua Dulce, just off down the dirt road from the Rowher Flats OHV Area. Consisting of a collection of large sandstone conglomerate domes, isolated rock formations, and boulders nestled in the rolling hills of canyon country, T.C. is local climber's hotspot. Texas Canyon rests at an elevation of 2500' and is managed by the United States Forest Services, in cooperation with L.A. County and the State of California. 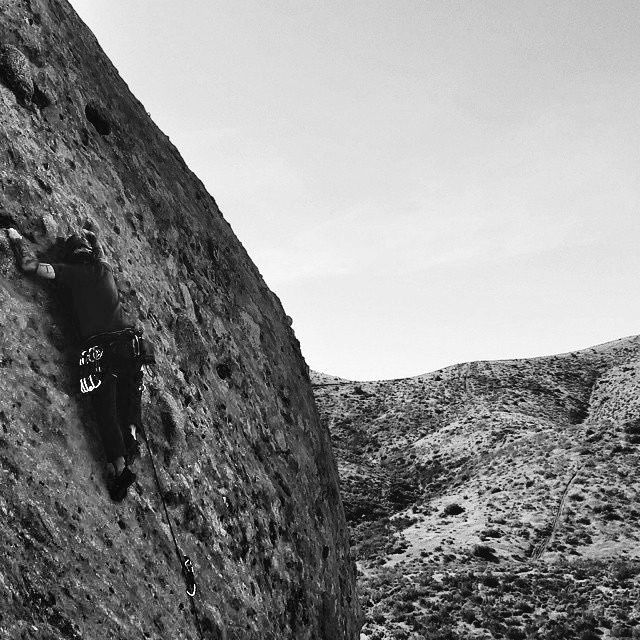 While nah-sayers might discredit the quality of the rock as "chossy" (meaning crummy/crumbly/loose) those on the bright side relish in the 100+ climbable routes and short approach. It's also a gorgeous setting with nearly year round weather to climb. Plenty of room for first ascents and new routes for the cleaning. On a personal level the Forever Outside crew finds it a credible alternative to Stony Point or Echo Cliffs. Mountain Project describes the land as "Characterized as bolted sport climbing on abundant pockets, knobs, and inclusions or weathered cobbles protruding from the surrounding rock. Climbing varies from low angle slab to steep overhung faces. The area has become popular due to the range of quality, well protected moderate routes and the short approach. A cautious approach is advised as the sandstone conglomerate is friable and hand and footholds frequently break. Use of a helmet can not be overemphasized, especially for belayers." The new Camo Jacket in the Forever Outside store.